Egg tray machine is a new way to recycle waste paper into wealth. Due to the advantages of low investment costs and high returns, it is very popular among investors. 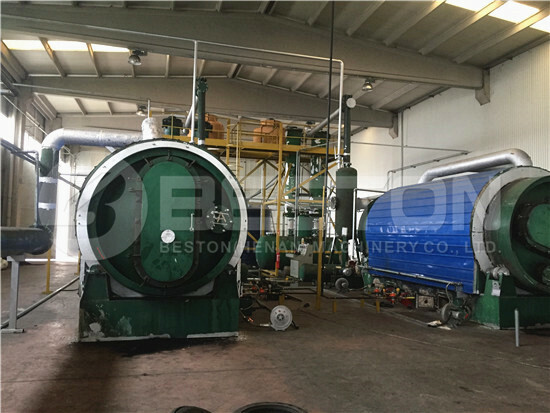 Beston Machinery has focused on waste recycling industry for more than 20 years. Now we have a complete range of paper egg tray machines for sale. The hourly output varies from 1000 to 6000 pieces. In addition to various egg tray making machines, we can also design egg carton machine for sale, apple tray making machine, bottle tray machine, etc. according to your requirements. Besides, there are manual, semi-automatic and fully automatic manufacturing lines to choose from. More importantly, Beston has an experienced and professional team to provide you with the most cost-effective egg tray manufacturing business plan and project report. Welcome to contact us! As mentioned, there are 7 hot-selling models of pulp egg tray machines for sale. We often divide them into one-sided, four-sided, eight-sided and twelve-sided rotary egg tray machines. Here are more parameters. This series of egg tray equipment is very popular among small-scale manufacturers because of the low investment costs. Especially, natural drying is recommended for BTF-1-3 or BTF-1-4, which can greatly save money. 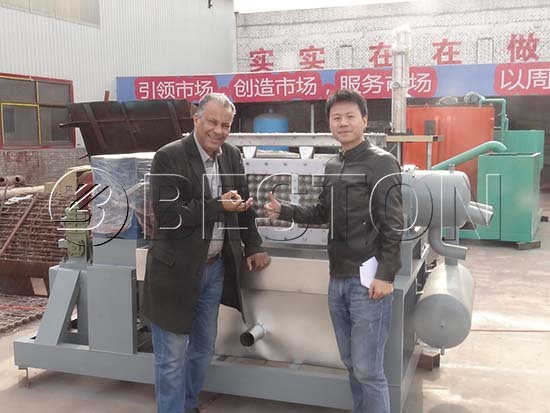 BTF-3-4 and BTF-4-4 paper egg tray machines are also the hot products of Beston. You can choose different drying lines, including natural drying, brick drying line with carts or conveyor belt, as well as metal drying line. Eight-sided egg tray making machines have advantages of high output and great automation, which are suitable for large-scale investors. 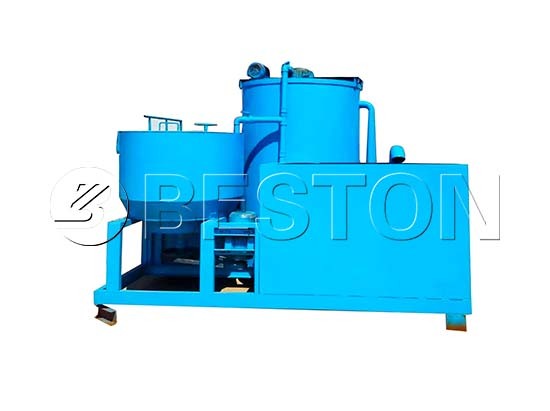 BTF-5-12 egg tray machine is the development of Beston pulp molding machinery. It is also the best option for mass production. Moreover, all equipment can be customized to order. And we will offer you the best solution according to your local conditions, such as your available fuel, space, labor force, weather, etc. In the Beston factory, you will see our test egg tray production line, which has been in operation for 8 years. It has been proved that the service life of our egg tray making machine is more than 5 years. Meanwhile, we try to make the production line leaner to improve the stability so that you can save much time and money on maintenance. As we know, the egg tray machine price in China is lower. Well, as a top egg tray machine manufacturer, Beston will provide you with a very reasonable price. Besides, paper egg tray equipment is applied to recycle waste into value, which has cheap and rich raw materials. More importantly, you may find that our egg trays machine consumes less paper and power, which can largely reduce your operating costs. There is a wide market for pulp molding products, such as egg carton machine for sale. And the egg trays produced by our pulp molding equipment have been highly praised by customers. Thus, you will never worry about selling your trays. What’s more, as you can see from the parameters, Beston egg tray equipment is high-yield so that you can get returns soon. As you can see above, we have 7 models of pulp egg tray machines for sale. And there are also different drying systems to choose from. Due to different drying lines, you can choose manual, semi-automatic and fully automatic egg tray machine. More importantly, you can customize the design and specification. Our designers and engineers will make it come true. 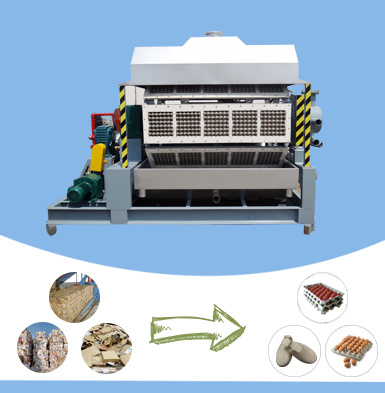 Egg tray machine is an eco-friendly industry from the material, through the process to the end products. Some of our customers have been supported by the local government. Except for the top quality egg tray equipment, we will also supply the best service from pre-sales to after-sales. You can also get a specific and complete egg tray manufacturing business plan on the basis of your local conditions. If you have any questions about our egg tray machine, please contact us now or come to visit our factory on site. What Is Egg Tray Machine? When you decide to invest an egg tray machine, you should know what it is. As mentioned, the egg tray machine can turn waste into wealth. You can use waste paper as raw materials, such as old books, newspaper, old cartons, offcut, etc. 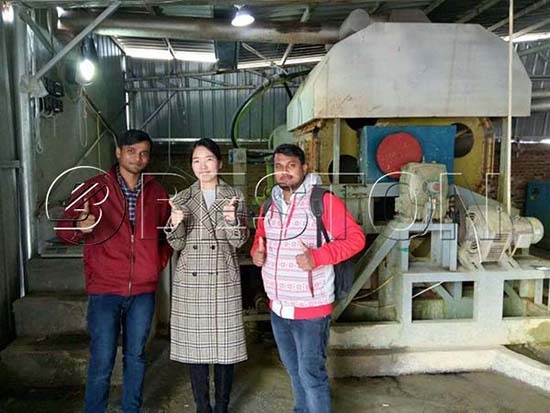 In addition, agricultural wastes, such as straws, rice husks, can also be excellent raw materials, especially when you invest in a seedling tray making machine. 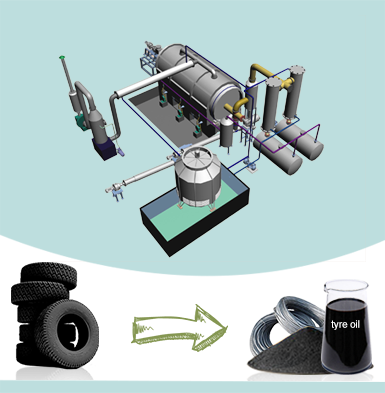 In comparison with biochar production equipment, egg tray machine is a cheap and effective way to recycle biomass wastes. It is shown from the workflow that there are four sections in an egg tray production line, namely, pulp making, molding, drying and packing. Among them, pulp molding machine is the key equipment, which is also the main equipment we will supply. What you should know is that you also need some related equipment and construction works, such as pulper, pools, dryer, etc. Our engineer can propose a layout design according to your space. In fact, the egg tray manufacturing process is easy. 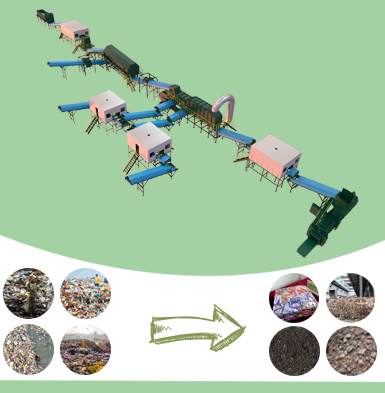 The first step is to make waste paper into fine and smooth pulp through powerful pulper and pulp refiner. We employ the best hydraulic pulper to improve the working efficiency and pulp quality. And you can add some additives, such as coloring agent, to meet the special properties of molded pulp products. As for small egg tray machines, Beston also supplies an integrated pulping system, which is more effective and compact in structure. This is also one of our hot products. When the paper pulp is prepared, it will be transferred to the pulp molding equipment through pumps. On the pulp molding machine, there is an air compressor and a vacuum pump, which makes the demolding easier. In order to make sure the quality of the trays, we suggest to clean the molding dies regularly. While some of our egg tray machines have been equipped with a cleaning system, which can flush the molds quickly after demolding. 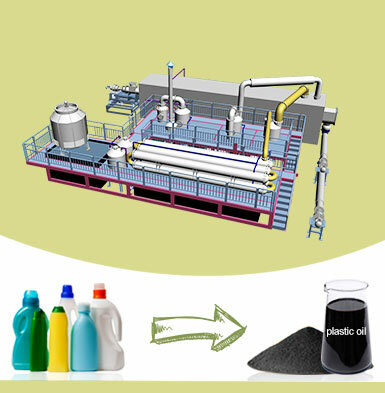 Even though the pulp molding machine is the key part of the entire production line, it can work automatically. Thus, the egg tray machine is easy to operate. Here is an egg tray machine video from our Indonesian customer, which showing the demolding process. 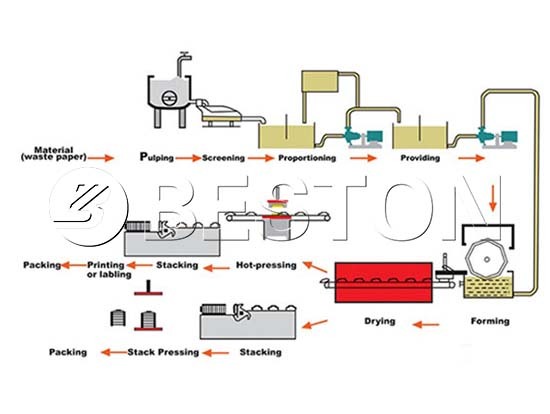 Egg tray drying system influences the automation level of an egg tray production line. 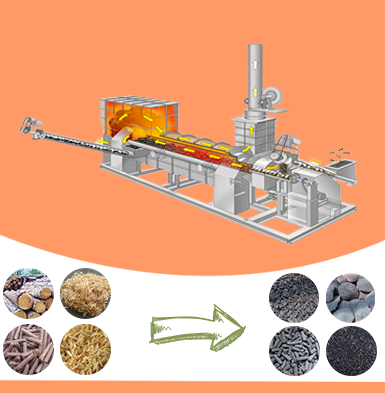 There are four different drying modes to choose, including natural drying, brick drying line with carts, brick drying line with a conveyor belt and automatic metal drying line. It depends on your investment budgets, scale, labor force, fuel, climate and space. No matter which one you will choose, we can promise you to lower your energy consumption. 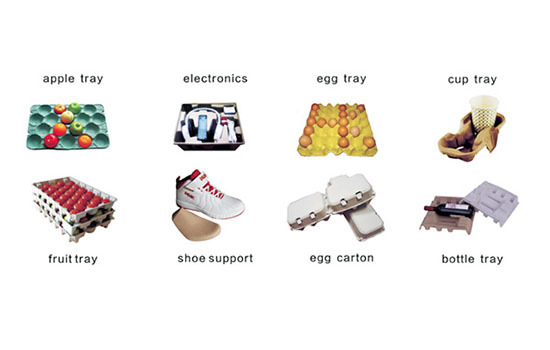 For most egg tray manufacturers, this section is finished manually. While if you want to make your trays prettier, you can employ a hot press machine. For some massive egg tray manufacturers, we can also provide you with a fully automatic egg tray manufacturing line, including the counter, packer, etc. It can make your production efficiency. Here is a video about the fully automatic paper egg tray manufacturing process. Due to the portability and biodegradablity, we can see pulp molded trays everywhere. You can also make various trays with different molding dies, such as egg cartons, bottle trays, fruit trays. There will be a wide market. The cost of egg tray machine is affordable. Besides, it has advantages of cheap and rich in raw materials. If you invest in an egg tray machine from Beston, you can also lower your operating and maintenance costs. While the output can reach up to 9000 pieces/h. So what a profitable business plan! Beston Group has 20 years of experience in manufacturing and exporting egg tray machines. For now, our paper pulp tray machines have been successfully installed in many countries, such as the Philippines, India, South Africa, Algeria, etc. Thanks to our customer’s trust and loyalty, Beston has been a leading pulp molding machine manufacturer in China. And we are looking forward to serving more clients with the mature technology and professional service. Welcome to contact us!